Dr. Paul K. Mathew graduated in Civil Engineering from Kerala University in 1974 in First Class with Honours and with First rank in the University. He did his Post Graduate programme in Indian Institute of Technology, Mumbai in 1983 and Ph. D in Indian Institute of Technology, Chennai in 1995. He is noted for his research publications in International Journals and fruitful participation in National and International Conferences. Dr. Paul K. Mathew started his career as Lecturer in Civil Engineering in 1974 at Mar Athanasius College of Engineering, Kothamangalam and retired as Principal with 33 years of experience. 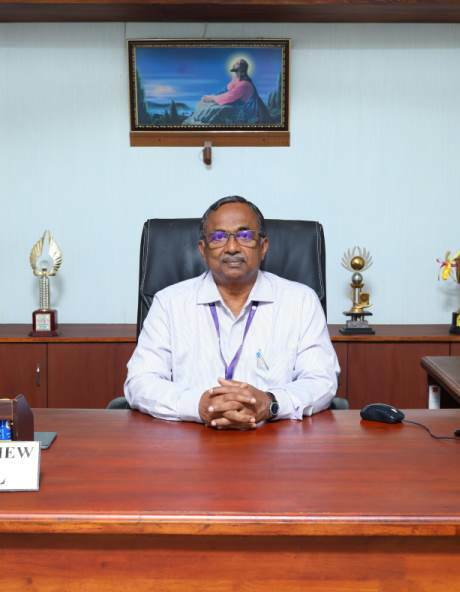 After retirement, he was appointed as the Principal of, Mar Baselious Christian College of Engineering & Technology, Peermade, Mahatma Gandhi Mission&apos;s College of Engineering & Technology, Vashi, Navi Mumbai and MES Institute of Technology & Management, Chathannoor, Kollam. During his career, he has served as the subject expert in the inspection commission for starting new technical institutions/courses. He has also served as subject expert in the staff selection committee of Cochin University of Science & technology and also Ph.D examiner at Jawaharlal Nehru Technological University, Hyderabad. Many a time he was the Chairman of examiners for university examinations in addition to the Camp Director of centralized valuation camps of Mahatma Gandhi University. Dr. Paul K. Mathew has been a Geotechnical consultant to many small, medium and large projects of Kerala PWD, Kerala irrigation Department, Kerala Water Authority, Kerala State Electricity Board, Kerala State Housing Board, Municipalities, City Corporations and many private and public undertakings. Besides, he is life member and active participant in professional bodies like Institution of Engineers (India), Indian Society for Technical Education and Indian Geotechnical Society. In fine, he is a person with rare charm of academic, administrative and professional accomplishments.